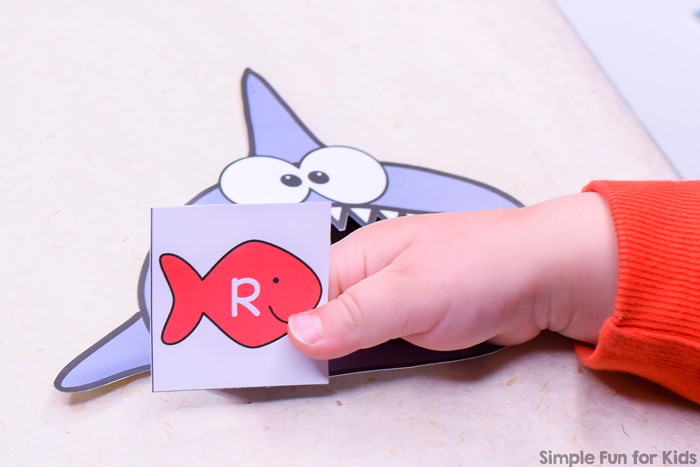 Do you have a toddler or preschooler who’s starting to get interested in letters, numbers, colors or identifying sizes but don’t know how to teach him or her in a fun, hands-on way? 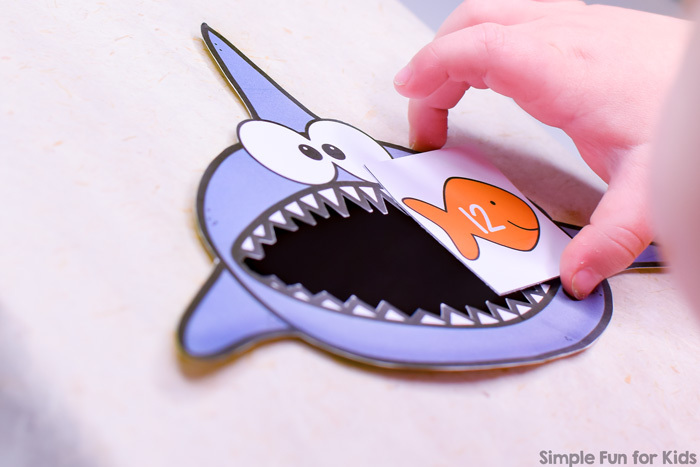 Did you start out strong but now lack ideas for going farther? 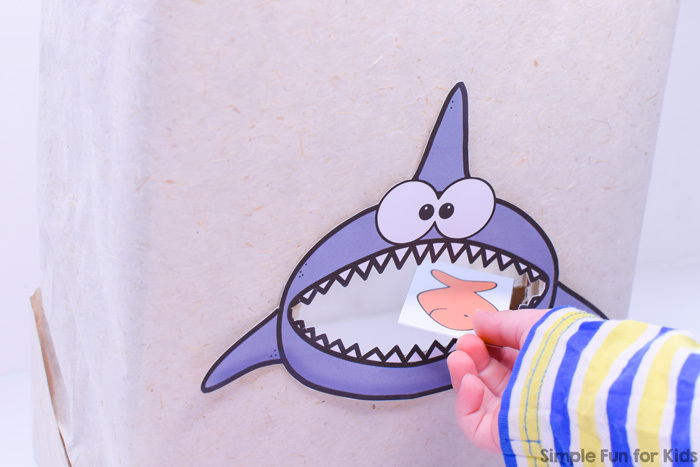 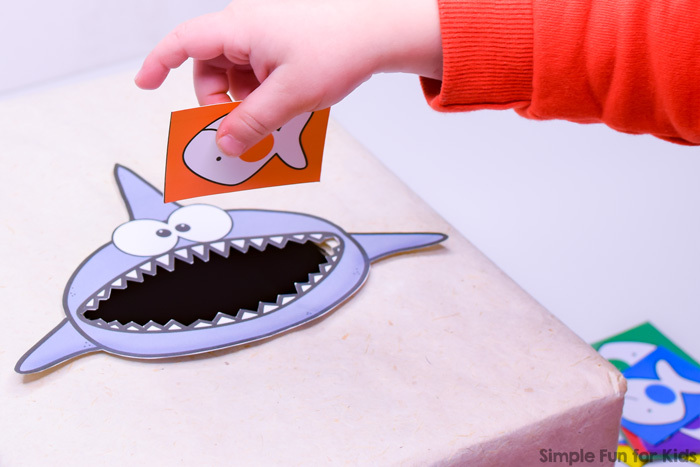 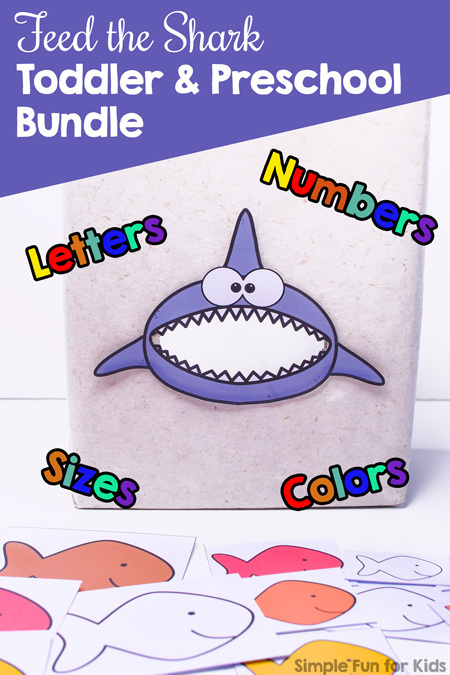 This Feed the Shark Toddler & Preschool Bundle is a great way to help lay a strong foundation in these four basic learning areas of early childhood, all while having fun and being able to rely on a familiar layout when starting on new concepts. 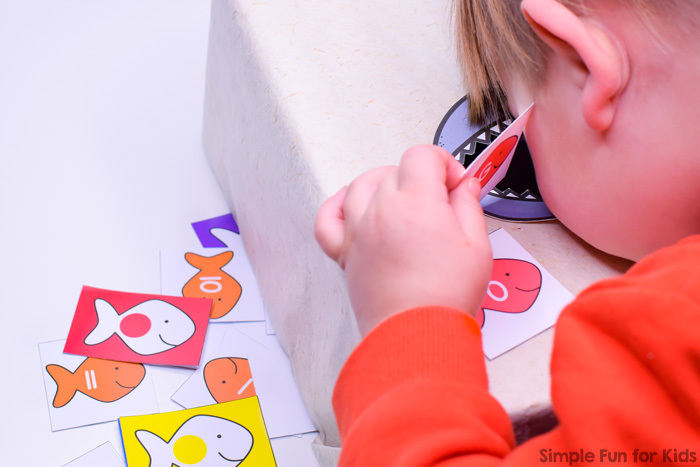 I’ve also included some task cards to give you some ideas. 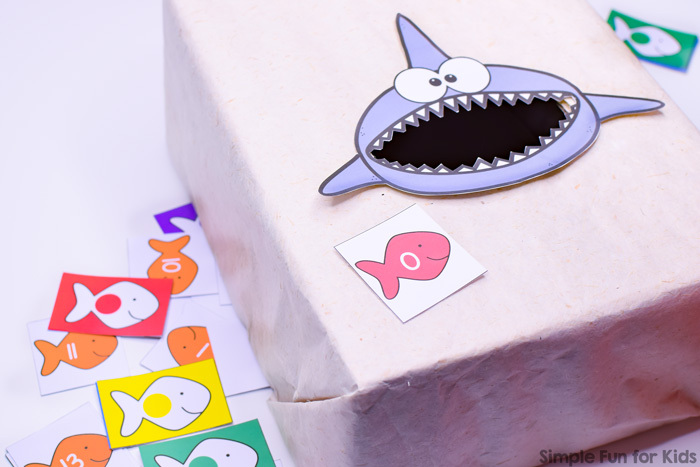 All you need to add is a cardboard box, scissors, some sticky tape, and Ziplock bags or envelopes for easy storage.